The 19 MLAs of the All India Anna Dravida Munnetra Kazhagam (AIADMK), supporting sidelined deputy chief T.T.V. 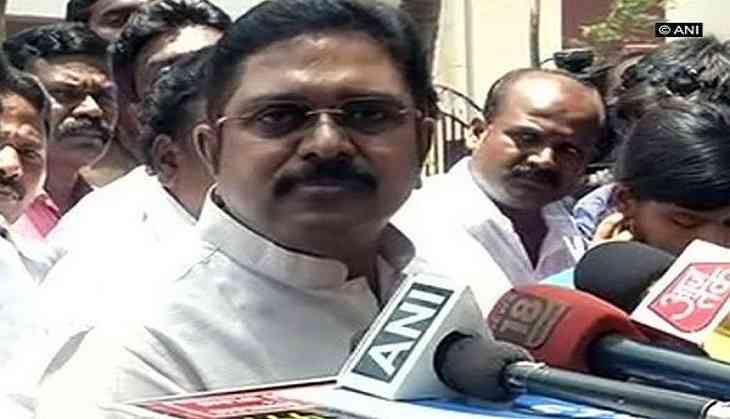 Dinakaran, were served a notice by the Tamil Nadu Assembly Speaker for the second time, and were asked to explain their position by 5 September. The Speaker had earlier sent a notice on 25 August seeking a clarification on a plea for their disqualification. The 19 MLAs had submitted a memorandum to state Governor C. Vidyasagar Rao for withdrawing their support to the Chief Minister, as they were upset over the coming together of the two major factions of the AIADMK. The MLAs, who are currently lodged at a resort at Puducherry, are part of the faction led by the now jailed AIADMK General Secretary V.K. Sasikala and her nephew Dinakaran. The rebelling members, led by Dinakaran, have been demanding Chief Minister Edappadi K. Palanisamy to prove his majority in the Assembly after they broke away from the AIADMK faction, and demanded for Dinakaran to be made the Tamil Nadu Chief Minister.